Beautiful house of character, renovated with taste, in the heart of Provence. 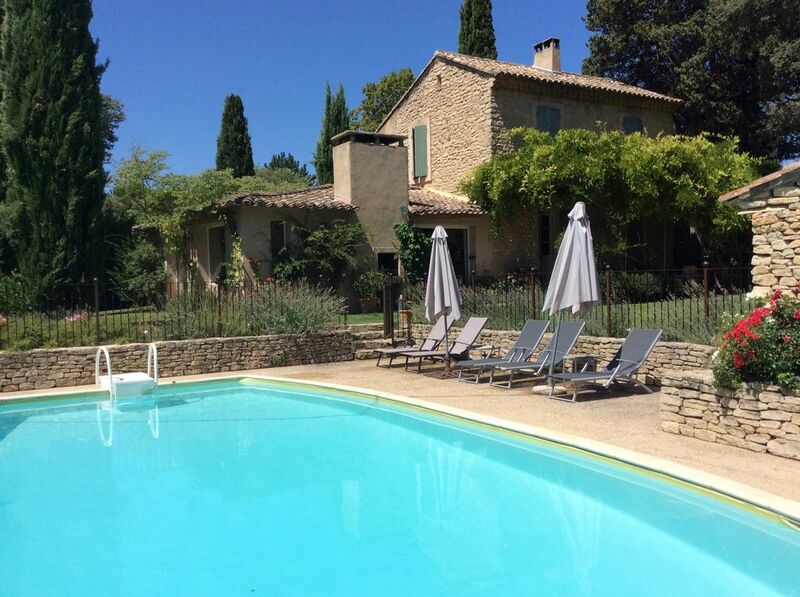 Ideally situated at the foot of the Luberon, between L'Isle-sur-la-Sorgue & Gorde. Can sleep 10 persons. 500 m away from a golf course and at the edge of the forest so it makes it the perfect starting point for pedestrian hikes and mountain bike getaway. 5 double bedrooms including one separate stone shed bedroom with bathroom and toilet and by the swimming pool. The house offers all modern comfort, with a fully equipped kitchen, utility room, 3 bathrooms, and 4 toilets. Extras: pretty wrought-iron bower, ideal for lunch under the shady wisteria, private pool, stone BBQ, table football, private parking (for 5 vehicles), and set in the middle of nature. The house is located at the foot of the Monts du Vaucluse and Luberon, between Isle-sur-la-Sorgue and Gordes.